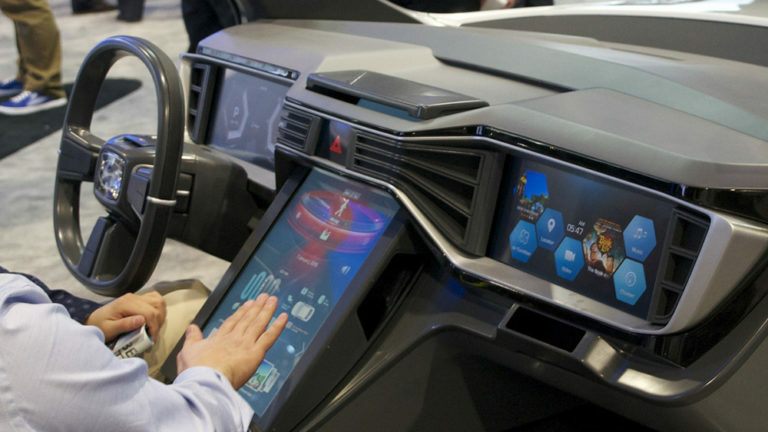 As cars become more connected, more full of screens, and more autonomous, how will the relationship between us and our cars change? With VR as a medium, my team and I took what could have been another dull presentation and reimagined it as an immersive ride into the future. As an entertainment company, how could DIRECTV get ahead of these changes from how we commute today, and lead in the creation of a new kind of mobile entertainment experience? 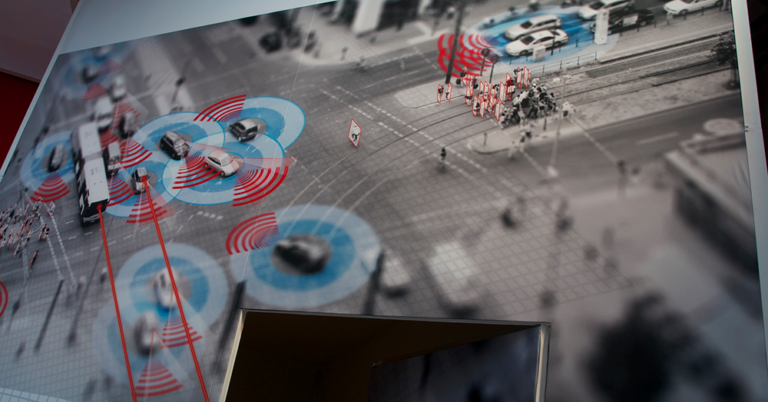 This was an ongoing project that began with research into how mobility is evolving and where it’s heading. I led this effort in DLab, in collaboration with the product team, to form our vision of the future of mobility. Our original goal was a simple presentation of our research, but we felt this was a perfect opportunity to use VR to create a more visceral understanding of how these changes would affect everyone, rather than just another Powerpoint presentation. Travel to conferences and interviews with industry people lent me and my team insights to the technological, business and regulatory forces that would define the direction and speed of change. Little things, like understanding why car companies would be reticent in offering 3rd party connectivity solutions or hearing about NHTSA’s considerations. 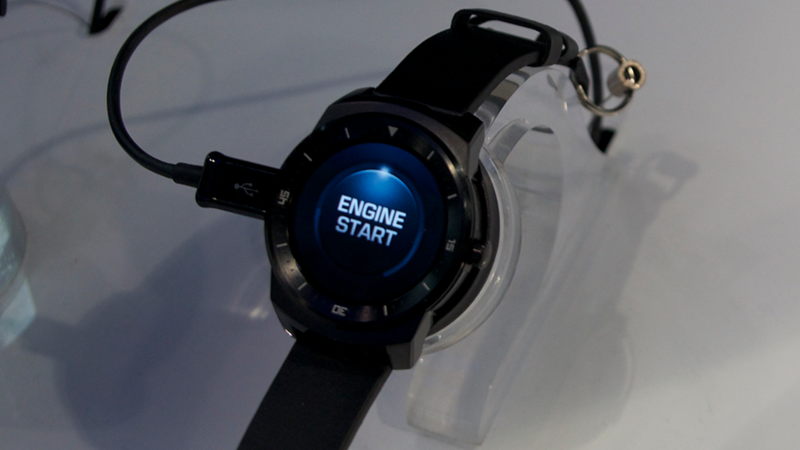 We visited CES, the Consumer Electronics Show, and got hands on time with many of the upcoming cars, systems and concepts. 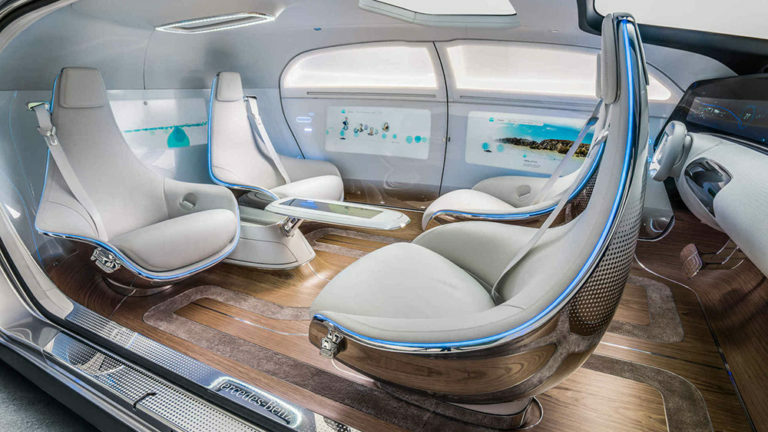 A highlight, and a tremendous inspiration was the Mercedes F015, a concept for a truly autonomous vehicle, including front seats that could turn 180° to face the rear occupants, and screens mounted on the doors. Our findings led to the creation of a report and a chart. While I can’t show the chart due to NDA, it essentially distilled our findings to a basic idea: as cars become more autonomous, all riders will become passengers and cars will become living rooms and offices. As part of DLab’s connected future open house, we blended an iteration of the personas that we had developed for our Heart of the Home project into this project as well. Every visitor was given an NFC keychain that had the image and name of one of our personas, a family of five living in the near future. These fobs would trigger each exhibit to tell another part of their avatar’s story, to connect guests to the overall narrative. 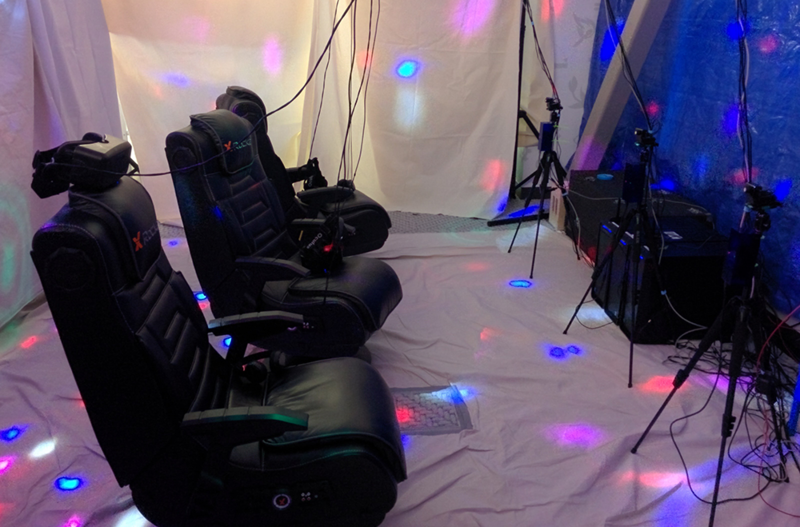 Our VR experience began when we led viewers to one of three chairs, and had them scan their keychains as they sat down. As the experience began, each persona found themselves in a different seat in a regular car of today, traveling down a highway with markers showing years, not miles. Signposts signified major technological shifts, and 3d annotations in the car described changes as they happened. Over 3 worlds, separated by tunnels, the car would evolve from the car of today, to the car of tomorrow, to the car of future — a fully autonomous living room on wheels, where there was no longer a steering wheel or need for a driver. For the persona at the wheel in the first two worlds, entering the world of the car of the future was slightly jarring, as they found themselves facing backwards in an apparent conversation with their daughter in the backseat. The reverse was true for the backseat persona, who had gone from watching videos on their phone in the first world, to onboard screens in the second, to a face to face conversation in the last. Our approach was to use Unity, communicating with an Arduino based NFC tag reader that I built, to make an integrated experience for users following their avatar’s story. 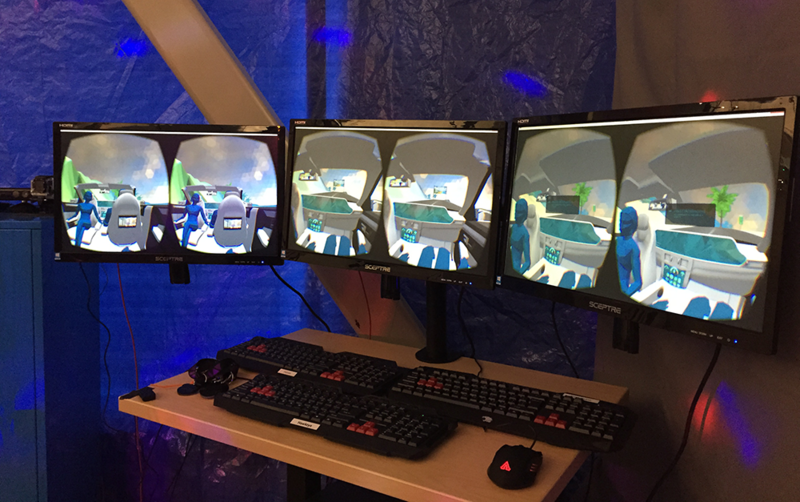 The mix of gaming chairs that replicated bucket seats from a car, the Arduino driven NFC tags and VR using the Oculus Rift DK2 and Unity, gave an immersive experience that made a tremendous impact across the company. For many who tried it, this was their first foray into VR. In the end, thousands of employees, including the CEO and the entire C-suite, took the ride. 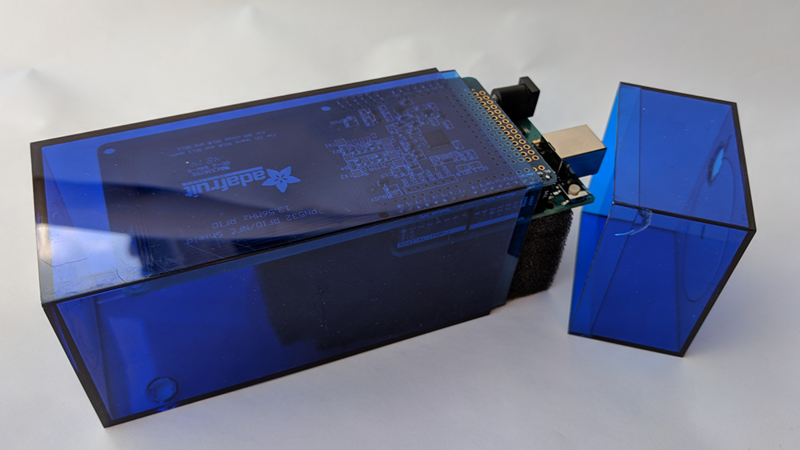 Garagewörx II was the second iteration of this project, meant to take that vision farther, and as an exploration of Mixed Reality as a prototyping platform for future products. I designed and built another “car of the future”, as well as the environment, a single track that lead through different scenarios: a city, a bridge, a forest, a beach, and a tunnel. Our car had a great set of panoramic windows and a sunroof, which could opaque, or act as screens. The user could use a real world touchpad to interact with a virtual touchpad in the car, changing the view or watching TV. Due to various external forces, we were forced to abandon the project before taking it where we had intended. It did prove, however, that we could build a platform in VR/MR that would allow us to quickly iterate on UI/UX or even simply product concepts in a fast and effective way.